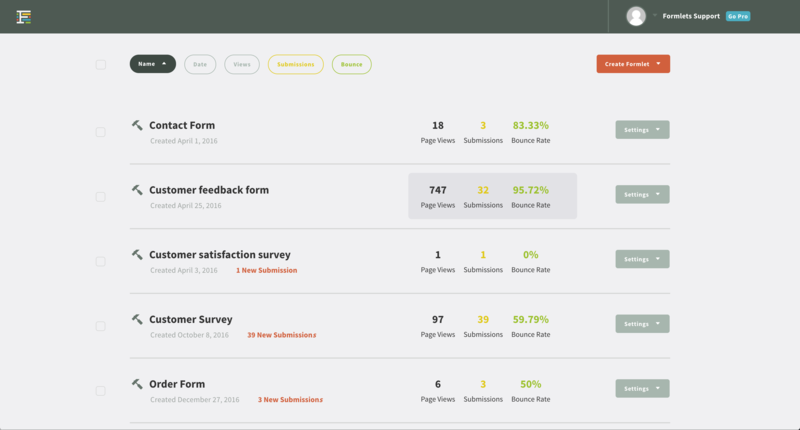 Formlets provides the capability to export your Formlet submissions. 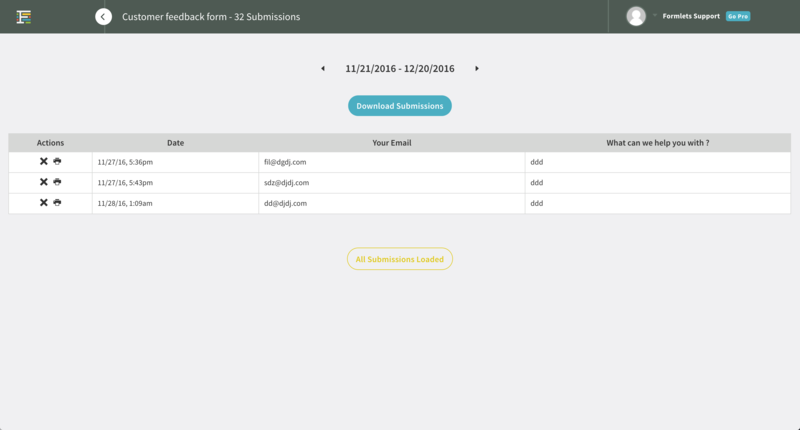 You can view the submission results directly through your Formlets account. Additionally, you can export your data to CSV file.